Builders Depot Diamond Core Bits are 100% Made in the USA. Phillips Modified Truss Screws Zinc. Phillips Wafer Self Drilling Screws Zinc. Hex Washer Head Sheet Metal Screws Sharp Point Zinc. Phillips Pan Head Self Drilling Screws Zinc. 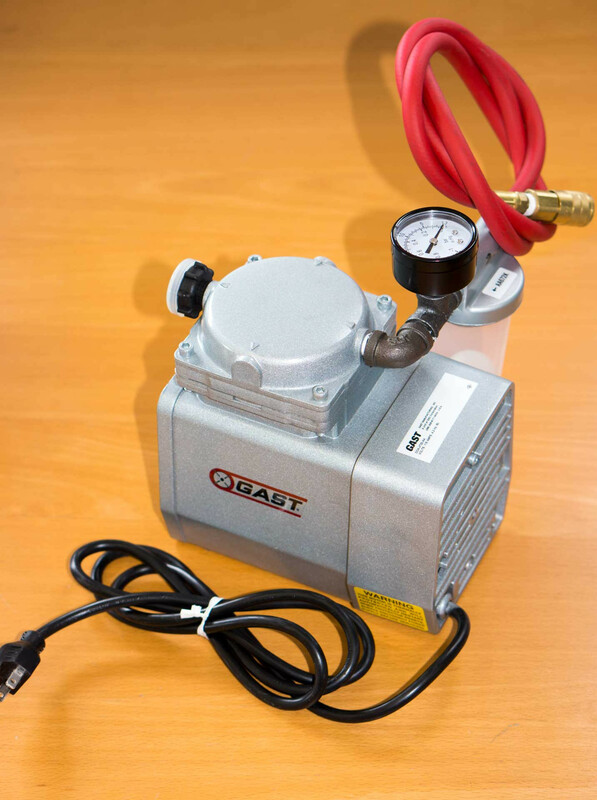 GAST 1/8 HP, 115V, 24hg, Vacuum Pump with Fittings - Use to suction core rig base or vacuum pad to flat surface It also comes with a 5 ft. vacuum hose, female quick disconnect fitting, water trap assembly, and vacuum gauge. 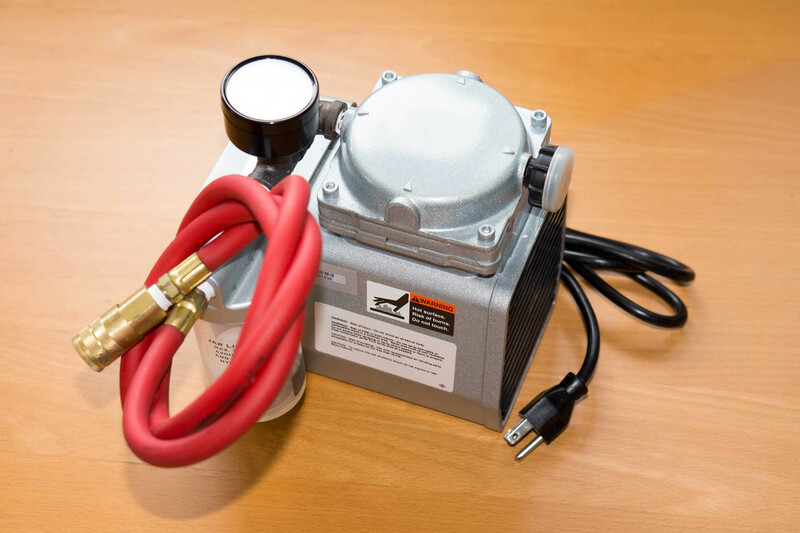 This pump develops 24" Hg of vacuum.Net Pump Weight is 9lbs This is an oil-less vacuum pump. 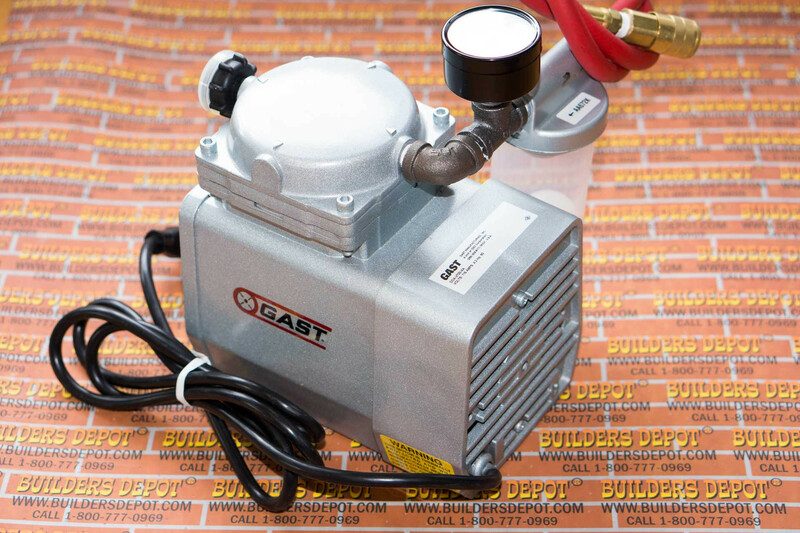 GAST 1/8 HP, 115V, 24hg, Vacuum Pump with Fittings - 1/8 HP, 24hg electric motor Use to suction core rig base or vacuum pad to flat surface For use on core drill rigs with vacuum base or on a vacuum pad. Call with any questions. It also comes with a 5 ft. vacuum hose, female quick disconnect fitting, water trap assembly, and vacuum gauge. This pump develops 24" Hg of vacuum.Net Pump Weight is 9lbs This is an oil-less vacuum pump. We are also contractors, and use the products we sell everyday. Builders Depot is also a Diamond Core Drilling and Saw Cutting Contractor for the NY Metro Area with over 50 years of experience (including Three Mile Island). With a rental fleet of over 100 core drill machines, there is never a single day where our diamond bits, blades and machines are not in use. Over 95% Of All Orders Ship Directly from our NYC Warehouse to your door via FedEx. Orders placed before 2:30PM Eastern M-F will Ship via FedEx the same day. Free Ground Shipping(courtesy of Builders Depot) is available on most orders over $850.00. If you have a question or need help, please feel free to call us at 1-800-777-0969 and we will be happy to assist (no menus). We stand behind our products. Unused items may be returned for credit or refund (less freight) within 30 days of receipt. Unused items may be returned after 30 days for refund subject to a 20% restocking charge (less freight). Speed or Long-Life, what do you prefer in your bits and blades? Join us on Social Media for special offers. Builders Depot® specializes in drilling and cutting products and our knowledgeable operators can recommend the right tool for your application. Our online store contains over 4000 products(Most in stock in Long Island City, NY) for contractors, builders, homeowners or anyone looking for quality drilling and cutting products at a fair and reasonable price. We ship Fedex the same day you order (before 2:30PM Eastern). We are also a Diamond Core Drilling and Saw Cutting Contractor with over 50 years of experience, so if you have a question or need help, please feel free to call us at 1-800-777-0969 and we will be happy to assist. Unlike many of our online competitors, Builders Depot® is a brick and mortar facility with over 30,000 square feet of warehouse space located in the heart of New York City. © 2017 Builders Depot®. All Rights Reserved.